Most shippers use multiple packing list labels on a single box. Place your labels conspicuously and on multiple faces to make sure that you shipping labels are seen. 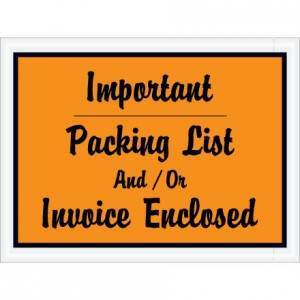 Also find Bill of Lading labels and Invoice labels.